Last week, our plans were finally submitted to the City of Napa. Yeaaaa! It’s taken a long time to get to this point so we are really excited. Unlike the shed/studio we are not doing any expanding to the house, so we hope this will go quickly. More waiting to get the permits – but forward progress. Since we bought the house, I’ve been pouring over architectural sites, furniture sites and design blogs for how best to design the interior of this mid century home. 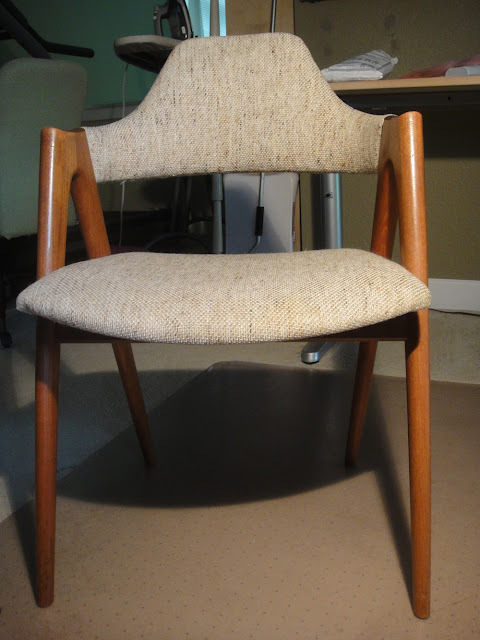 I’m a bit of a novice when it comes to mid century modern design but I was instantly drawn to Danish modern furniture. A lot is made from teak and come from the era when the house was built. 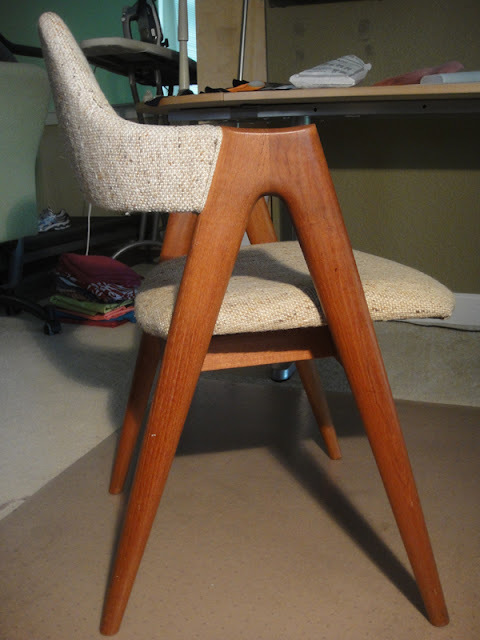 Alas, a particular dining room chair I had been eyeing came up for sale at an antiques store in San Francisco. 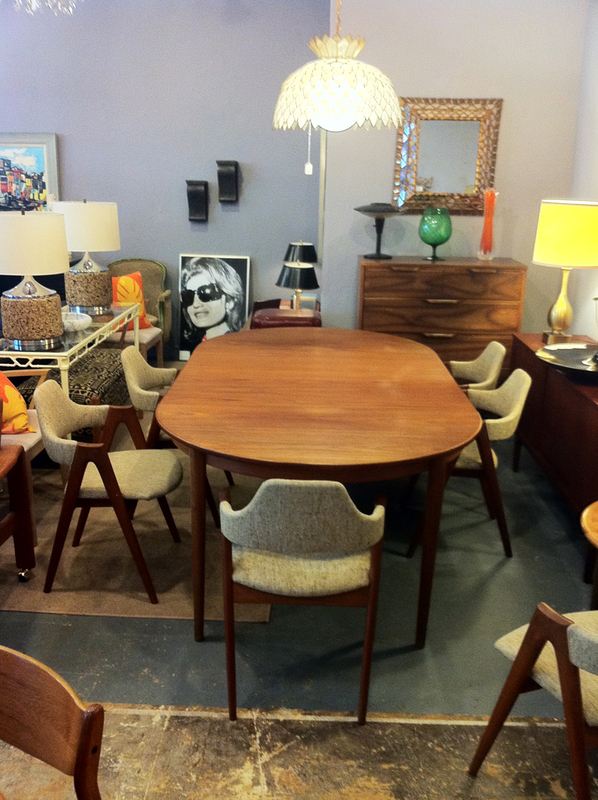 6 to be exact, with a teak table. We probably paid too much, but I just had to have those chairs! The dining area will be the main focal point when someone walks into the front door so I wanted something funky and interesting – but comfortable. 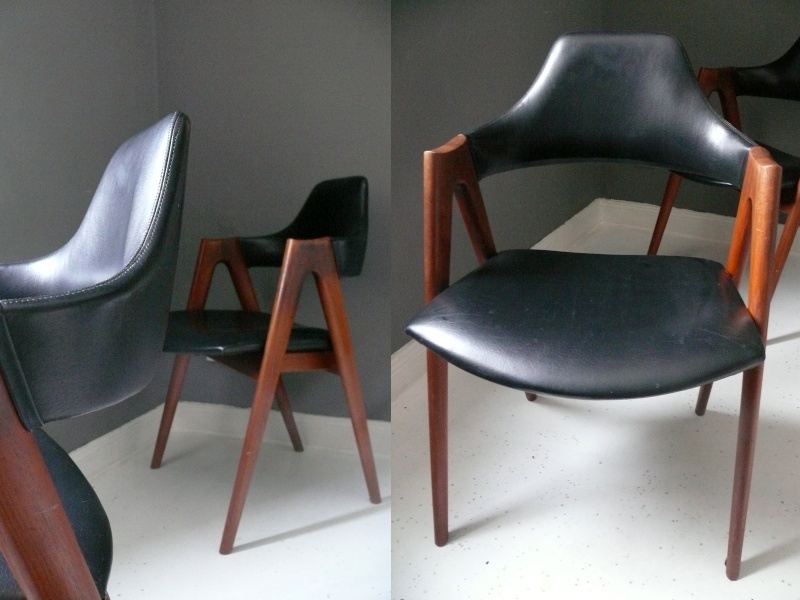 I also found an image of the same chairs in black vinyl. I am going to reupholster them myself. Crazy, you say? Ha! 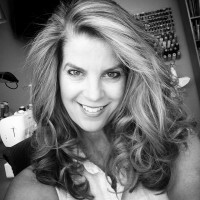 I have a secret weapon – I sew! From what I am learning, and from my experience deconstructing clothing, I am taking lots of pictures of the original chair, then will take pictures when I am taking the original fabric off so I don’t forget how everything went together. 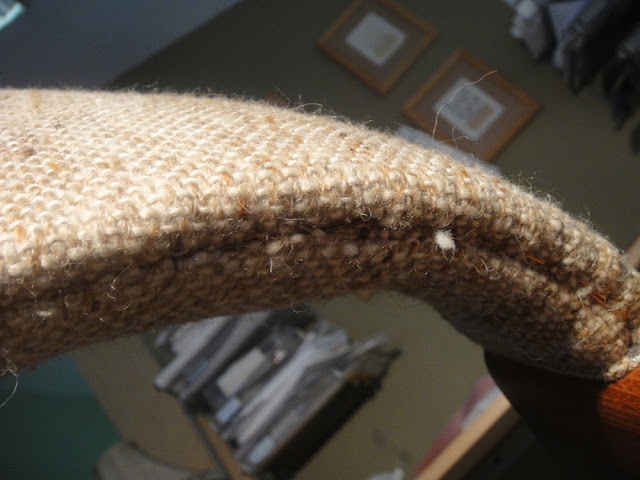 I can then use the original fabric as pattern pieces. So, as if I don’t have enough to do with the new house – picking lighting, choosing kitchen appliances, furniture, sourcing antique shops, learning gardening, learning how to grow my own vegetables, becoming a wine connoisseur, I can now add upholstery to the list! Any ideas what I should reuphoster it in? I was thinking something bright…. On my blog I have links to several fabric companies that carry excellent mid-century style upholstery, but modern-fabrics.com has a particularly nice selection of bright colors right now. I’d go with something similar to what’s on them now, just more colorful. Thanks, Dana! I will check them out. Wish your store was closer. We were actually considering moving to Austin, but darn, it’s hard to leave beautiful California! Check out Maharam fabrics (can be accessed from the DWR website: http://www.dwr.com); they make several period-appropriate fabrics that would look great on dining room chairs. Thanks so much for the info and pics! I am about to buy a set of the same fabulous chairs. They look terrific. Can you please tell me if you’ve been happy with them? My only concern is that the arms may be a bit sharp. Thanks! I don’t notice the arms. The only noticeable thing is they are a bit low if you are tall. But I still love them! 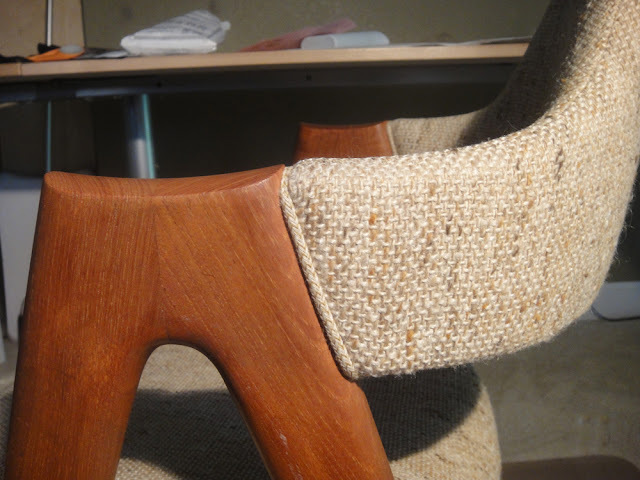 Have you done this reupholster? How did it go- I would love to see a picture of the new fabric…I am about to try the same project, any tips? thanks a lot!